I didn’t know who Mario “Motts” Tonelli was before this past weekend. 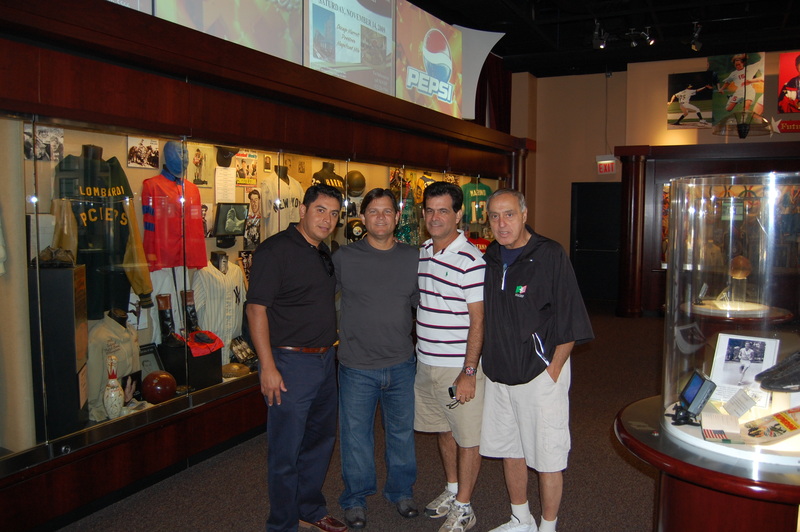 Then I visited the Italian American Sports Hall of Fame [NIASHF] in Chicago. The cost of admission is very reasonable, but if this world had any logic, they would charge Disney prices and it would still be a bargain. 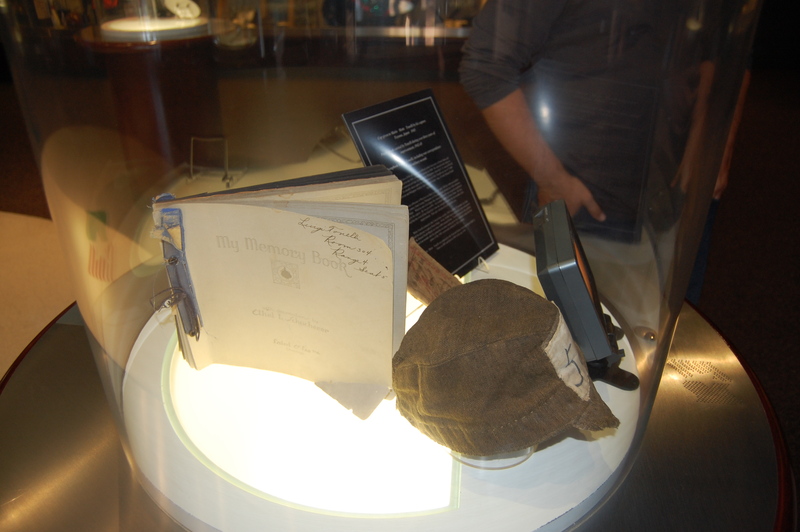 The place offers the potential of lifting the human spirit by shining a light, or a memorabilia display more exactly, on some of our more worthy spirits. 1917 – Born, moved to Chicago. 1932 -1935 – A three sport athlete at the Catholic DePaul Academy. 1940 – Played one season of pro football with the Chicago Cardinals. 1941 – Enlisted in the Army, assigned to the Philippines. 1942 – Captured prisoner and survived the Bataan Death March. 1942 – 1945 – Prisoner of war. 1945 – Transferred to slave labor camp near Tomayo Japan just before the nuclear bombs were dropped to end the war. Trip lasted a couple of months and he slept on a pile of salt with other prisoners. 1945 – Put on 90 pounds and played an abbreviated NFL season, which allowed him to qualify for his pension. 1946 – 1988 – Career in politics and public service. 2003 – Died at the age of 86. That really should be enough. But there’s a reason that Mr Tonelli is considered the Greatest Tonelli of them all, as chronicled by Bill Tonelli, unrelated. While on the March, Tonelli was reflecting on his relative mortality when approached by a guard plundering the possessions of the weary, sunburned prisoners. He demanded Tonelli’s Notre Dame ring, and Tonelli refused. The guard reached for his sword. Reluctantly, Tonelli surrendered the ring. A few minutes later, a Japanese officer appeared. “Did one of my men take something from you?” he asked in perfect English. The surreal encounter ended, and the gridiron and battlefield rivals headed their separate ways. When he arrived at the prison camp near Toyama, Tonelli was a 100-pound skeleton, a mere shell of the bullish fullback that once roamed Notre Dame Stadium, Soldier Field and Comiskey Park. His body ravaged by malaria and an intestinal parasite, Tonelli wobbled to a table where a Japanese officer assigned prison garb and identification numbers. Tonelli glanced at his new prison number. It couldn’t be. Tonelli fought to hold back the jubilant tears. Scribbled on a piece of paper was the number 58, the same number he wore throughout his football career. As I sat in my office writing this, I’m listening to the visiting teams MLB.com radio broadcast of my Marlins playing at the St Louis Cardinals. The announcers just noted that the home plate umpire is Tony Randazzo. The Chairman and Founder of the NIASHF is Tony’s father, George Randazzo. Signs always abound, great and small, but today I am more attuned to those signs because this weekend I learned about a great Italian American named ‘Motts’ Tonelli. 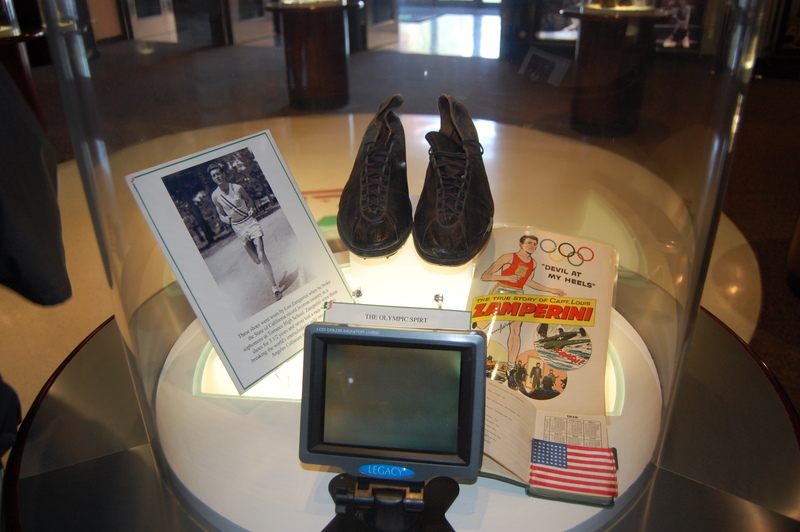 This entry was posted in Books & Reading, Catholic Faith & Inspiration and tagged Bill Tonelli, George Randazzo, Italian American Sports Hall of Fame, Louis Zamperini, Mario Tonelli, Martin Bermudez, The Amazing Story of the Tonelli Family in America, Tony Randazzo, Wichi. Bookmark the permalink.